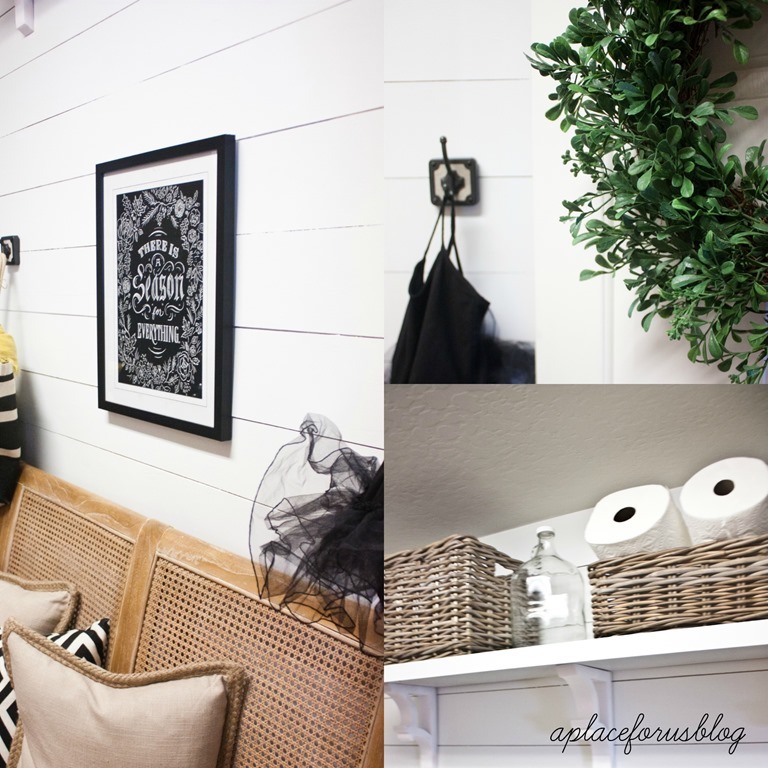 I’m excited to show you part of my laundry room makeover today! I seem to jump from project to project around here, but what else it new! I’ve wanted to use plank walling in my home FOREVER! I helped my mom put some up in her laundry room early this year and it looked awesome! So I decided to give it a try in my own laundry room. 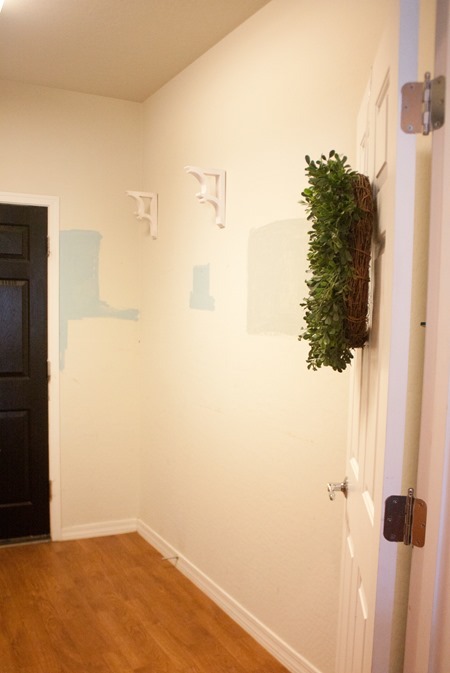 It’s a great beginner project if your doing it on a wall that involves no MAJOR cuts. My back wall was perfect. No outlets or anything. 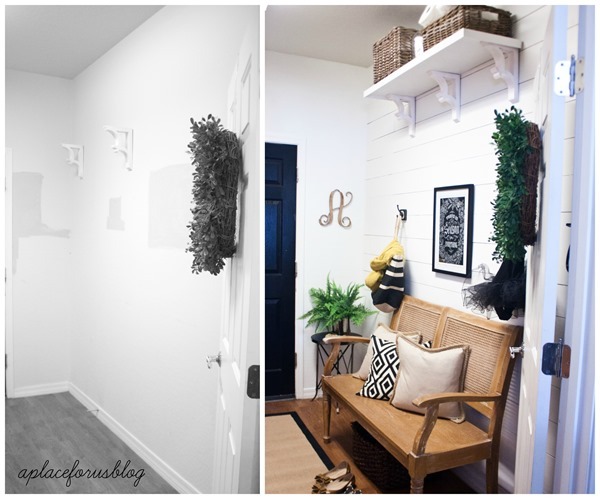 I wanted to create a simple drop space for my family when we enter from the garage. I have a place inside the coat closet for school stuff and backpacks. But its nice to have a place to put your shoes on or keep something’s hung up and put away when you know you’ll be going back outside. The fall/winter season is mild here. Most Thanksgivings and Christmas’s are around 65-75 degrees. I’ve was born and raised here and it’s wonderful:0) SO you won’t see any super heavy jackets and snow boots. But a nice scarf and jacket is all we really need and boots and maybe some gloves when it gets around 40 degrees. A complete contrast from our Summers when we live in flip flops and shorts:0) Which most people are actually still wearing as I type. You can totally do this yourself and there are a ton of great tutorials on it. I first saw this particular tutorial on Sausha’s blog. She’s such a trend setter! So here’s what I did step by step following some her tips as well as my own. Next start at the top of your wall and work your way down to the bottom. Use your nail gun and nail in the middle and on the edges and then in between those two spots. Older homes and even current homes might have some uneven wall when it meets the celling. So you might want to check make sure that’s level before you begin. If your walls are longer than 8ft then your going to end up with staggered planks. 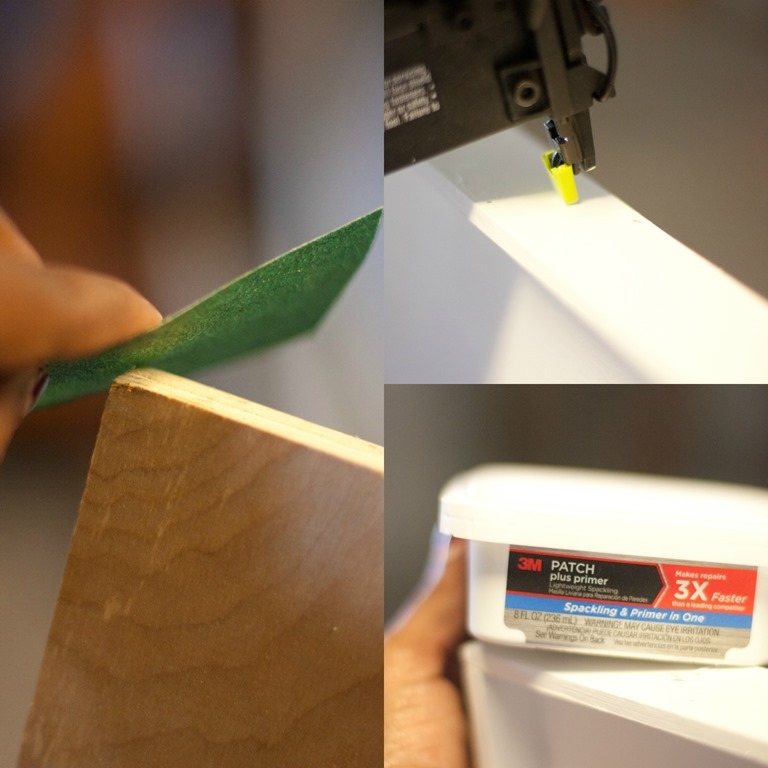 I used my miter saw to make the correct cuts. Safety first right:0) Totally digging my 3M Tekk Digital head phones, super awesome mask. My allergies will kick up in a minute if I don’t use a mask! Like a said before this was a perfect wall for a beginner project because it only had straight cuts. If you need to cut around an outlet use a jigsaw to help you out! 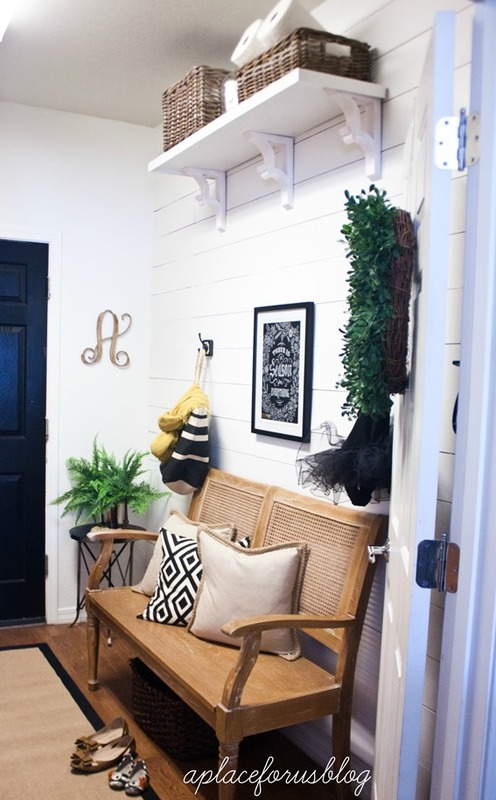 If you desire a space in between your boards use a spacer like a nickel like Shelley did. I kind of just eyeball how much space I wanted in between. 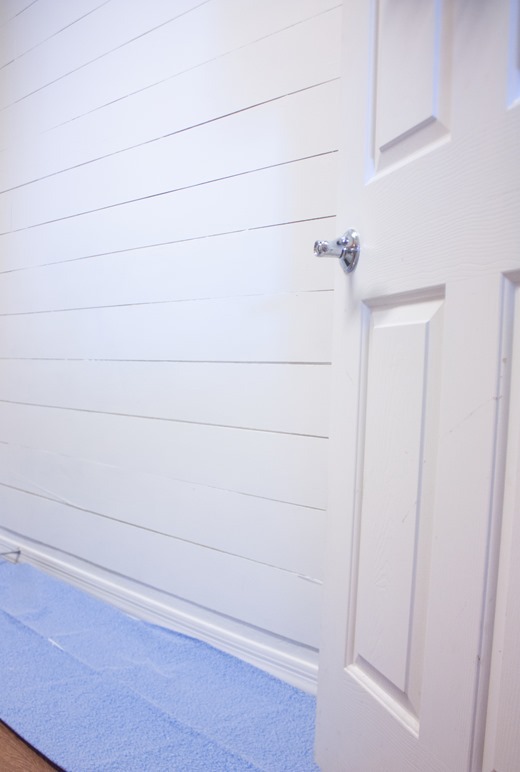 Once you’ve made your way down to the bottom then go back and make sure the boards are secure to the wall by giving it an extra nail when needed. Next sand down the holes with 3M 80 grit sandpaper so you have a nice smooth surface to paint. Clean up any excess with a damp cloth and vacuum. Next, I painted it with a Super White from Sherwin Williams/Pottery Barn winter line. I love this color because it’s great to brighten up a dark room with no windows. Plus this paneling acts as sort of a trim so its perfect. Use a semi gloss for the easiest clean up. 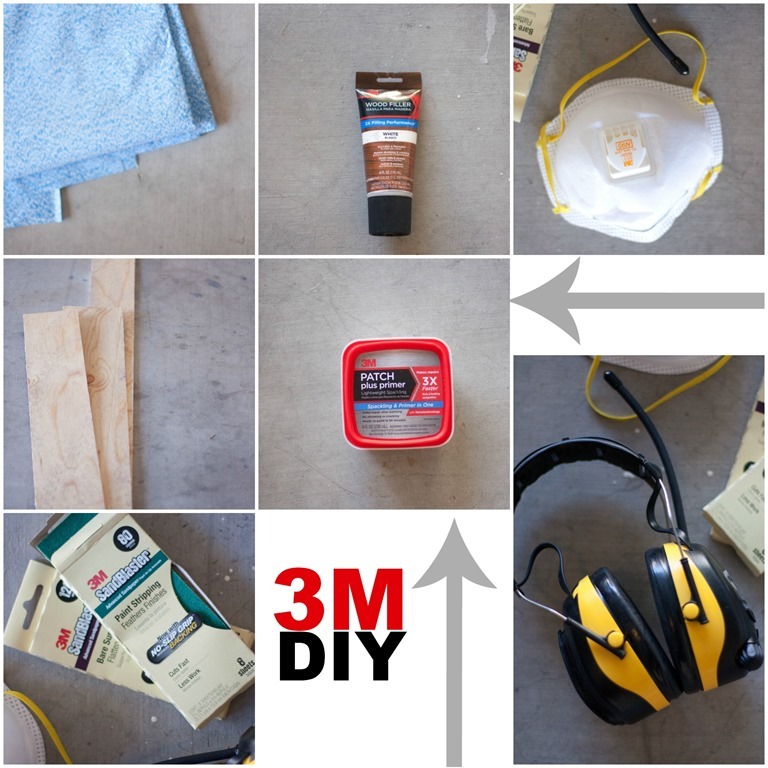 I used the 3M Drop cloth to catch any spill that may come. I’m the worst when it comes to tidy painting:0) I ‘m kinda like paint to the walllllll! ha! So it helps to have products like this that make things SO much easier. IT doesn’t slide at all so you can still walk on it while you do your thing! I decided to also add a shelf on top for extra storage. You can never have enough of that right? 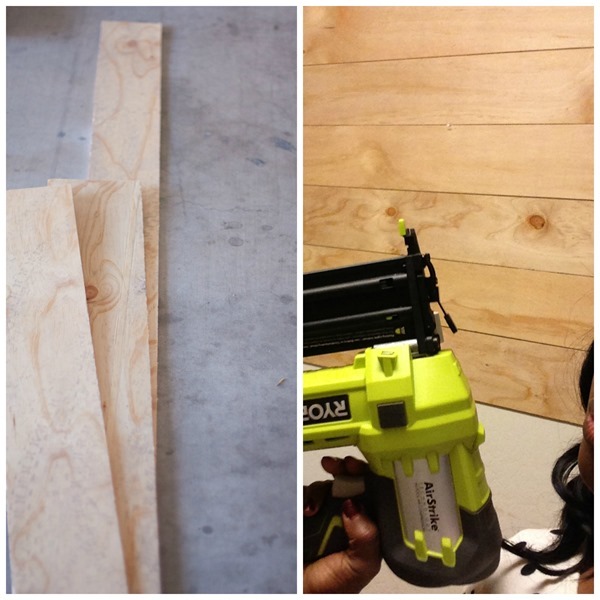 For the shelf I had a piece of plywood cut down to size and added the trim with my nail gun. 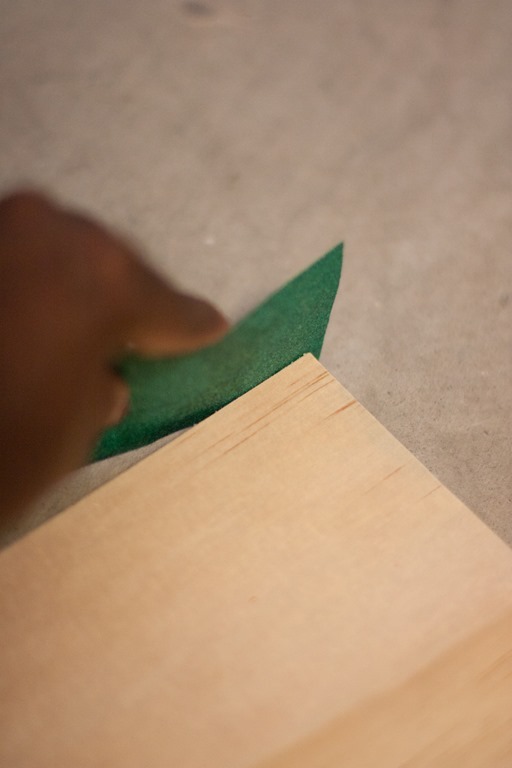 I again used sandpaper to smooth out the edges. To give it a more finished look I added some trim to the sides with my nail gun, filled in the holes with some 3M 3M Patch Plus Primer and gave it a coat of Super White by Sherwin William again. After I install the shelf with my brackets I snagged from Ebay (AlabamaHardware) I finished it up! Here’s the finished ROOM! Check out some of my favorite products I used while doing THIS project! Thanks for hanging out today friends! 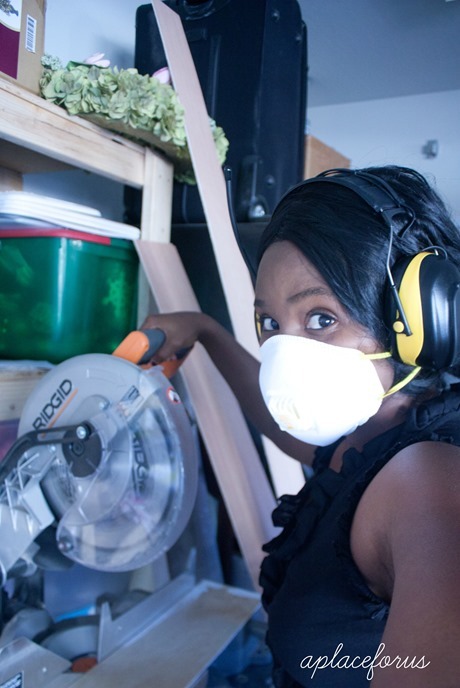 Hope that gave you some inspiration to try your own DIY project REALLY soon! 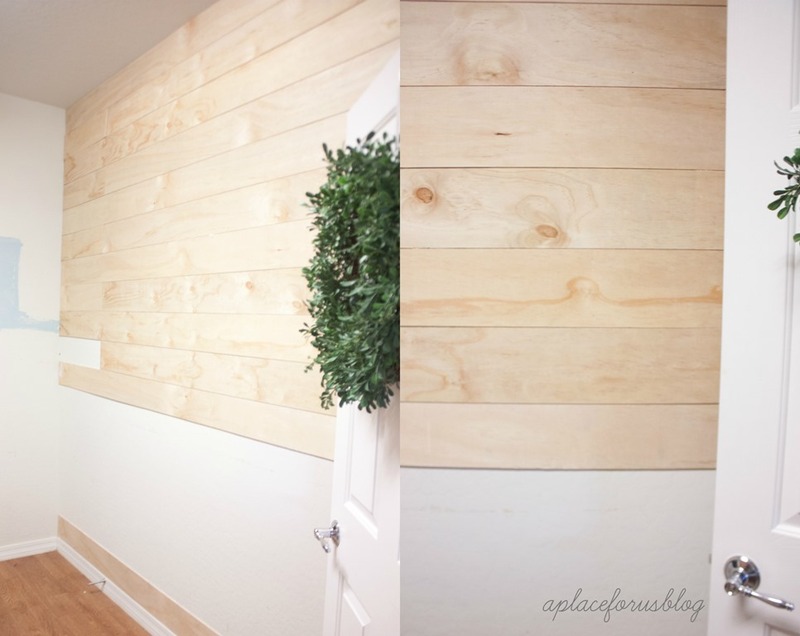 I truly love the way plank walls look, have been trying to convince my hubby to do one in our house. This looks so warm and welcoming, Great Job. That is one seriously fancy laundry room! It looks amazing. We did the same thing on our dining room ceiling and will be doing it in our kitchen, as well. I love how it turned out. Awesome! On the ceiling! What a great idea girl. Where the cuts hard?? I love this! Very cozy and classic! 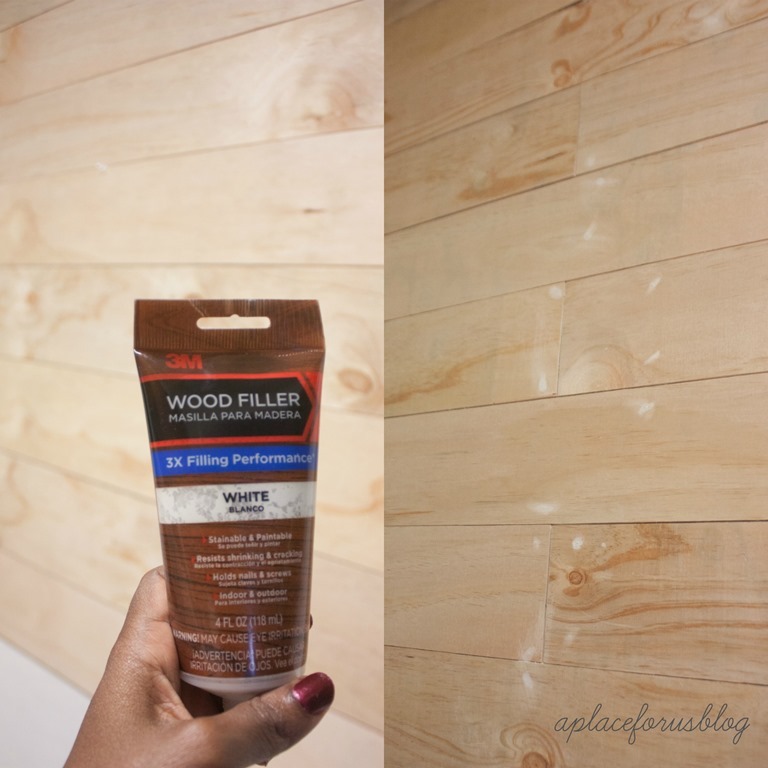 The plank walls add so much! Love the way it turned out. OH MY! This is amazing–I want to do this to our living room. 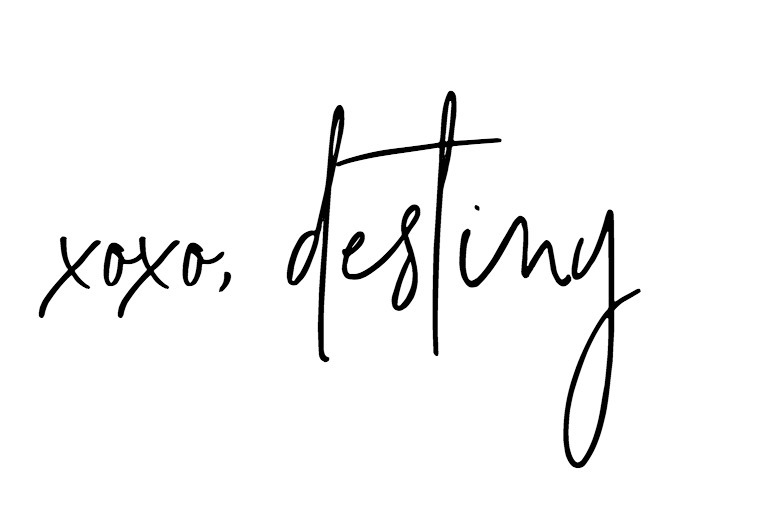 You are inspiring me girlfriend–keep up the great work! This looks so awesome!!!!! I love the planked wall. It’s so fun! And your details and accessorizing is awesome, as always. Looks amazing! Love the bench too! Very cozy…what a fantastic job! Thanks!! Love the name..MRS. Pancakes:0) Makes me smile! I love pancakes ha!!! WOW!! What a transformation!!! I have a wall just like that with dark pine planks, think it may be time to paint that baby white!!! I LOVE the letter!! Where did you find it?? Love the look! 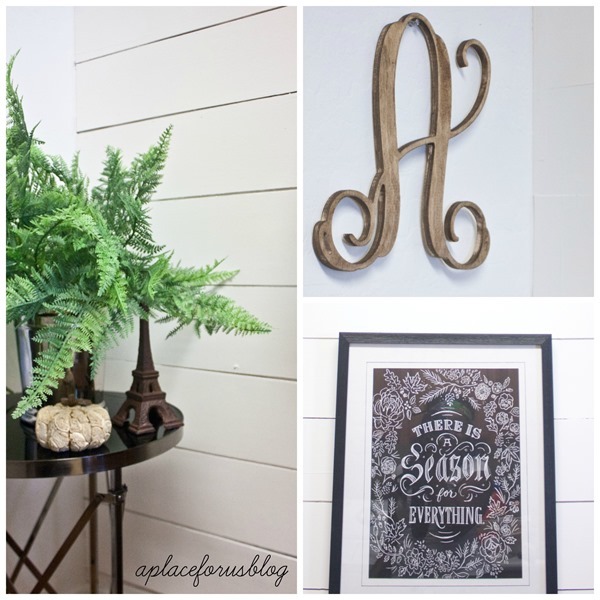 Where did you purchase the “There is a Season for Everything” picture”? Wow!! That is gorgeous! The plank wall totally makes the space!! Love all of it! Where did you get you corbels for your shelf? Did Lowe’s cut the wood into 6 pieces for you or I’d you make those cuts too? It looks amazing! !